Over the past 400 years more than 800 pubs have opened in the city of Preston. While many have been lost due to time, money or misfortune, the stories and memories live on. 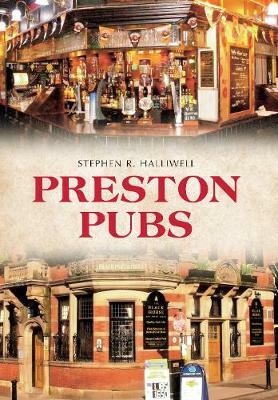 Preston Pubs offers a captivating glimpse into the history of some of Preston's most famous pubs. Drawing upon an eclectic collection of photographs, Stephen Halliwell presents the reader with an insight into the history and life of the pubs in this area. Well-researched and beautifully illustrated, Preston Pubs provides something for everyone, whether they have lived in Preston all their lives, or whether they are just visiting this vibrant town.